Hi, hello, and good day to you! I know it's been quite some time since I've written, and I thought it was time for an update! I've been busy with updating my brand, focus, the website, launching new products, finishing a bunch of spring projects, and getting ready for some summer maker's markets where I'll be displaying new products! Whew, I think that's a lot for anyone, and it sure has been for me. It's exhausting work, but I love it, and am sparked to action by the challenge of it all. 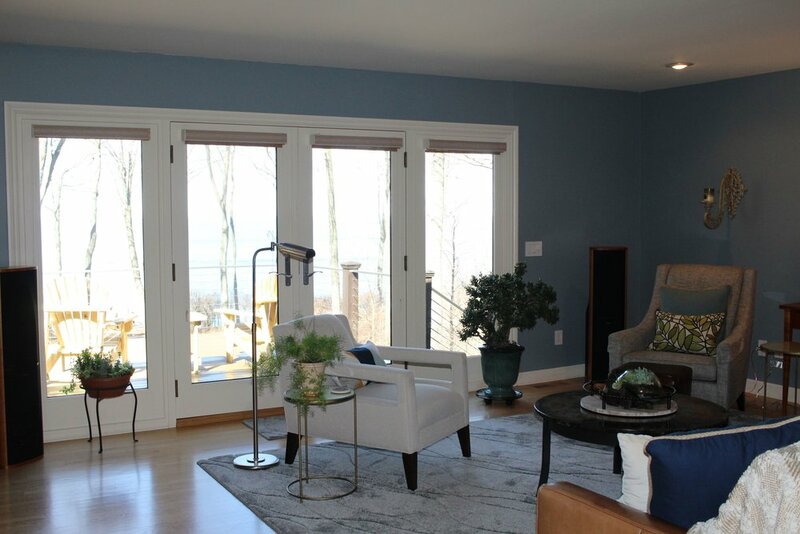 Below are some pics of a recently finished home makeover on the Holland lakeshore. I'm hoping to blog about it soon, so stay tuned! My plan is to commit to blogging again at least twice a month to keep you updated on the projects we're working on (Big news -- My hubby Ryan and I are beginning a kitchen remodel of our own that we'll be blogging about every step of the way!). If there are any things you'd like to see me write about (maybe some kind of interior decor question you have had for a while?) please let me know, and I'd be happy to share! You'll also likely see many new photos on Instagram, as we're in the midst of our remodel and doing several maker's markets this summer (more on that to come). 2. I'm going to be at Farmgirl Flea! Please join us at Farmgirl Flea on May 19-20. We'll be there with an outdoor booth, and I'll have an easel set up where I'll be hand lettering on the chalkboards we make and are debuting there. With the purchase of any chalkboard, you'll receive a FREE hand lettered design of your choice, while you wait or shop! How fun is that!? And if we haven't yet met in person, that would be a great time to come on out and say hello! We are now booking projects for September. If you are thinking about doing some remodeling or redecoration, now is the time to let us know!